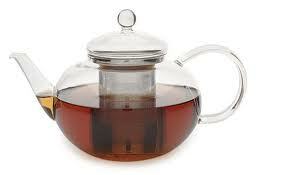 This glass teapot can handle 5 cups of tea in one brew. The glass is tempered so you never have to worry about it cracking from the heat. It comes with a large stainless steel infuser that gives your tea enough space to percolate for that perfect blend.